The Research Path identifies the major milestones along four research sub-paths: literature review, research methodology, conceptual development and data collection. 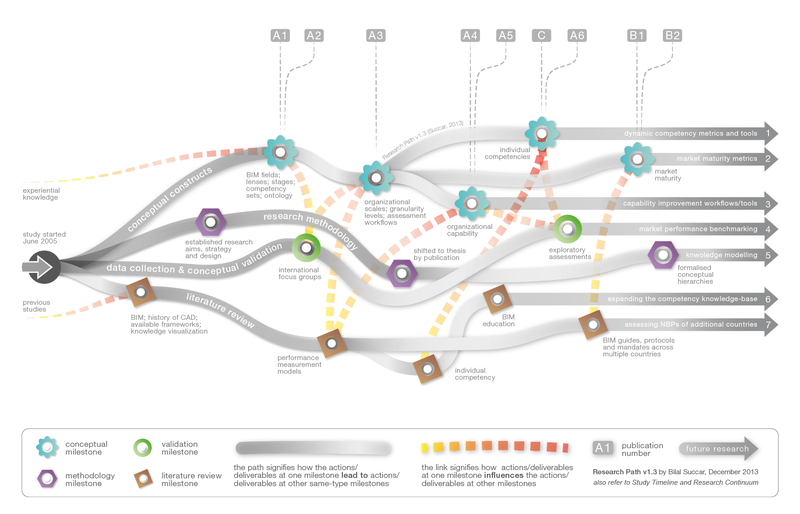 This visual knowledge model (VKM) also identifies a number of ongoing research activities pursuant to each research sub-path. Note: the importance of a clearly defined research path cannot be understated. However, allowing oneself to diverge into inter-connected sub-paths (a network of tunnels dug underneath the main topic) is an excellent mechanism for knowledge exploration and discovery. 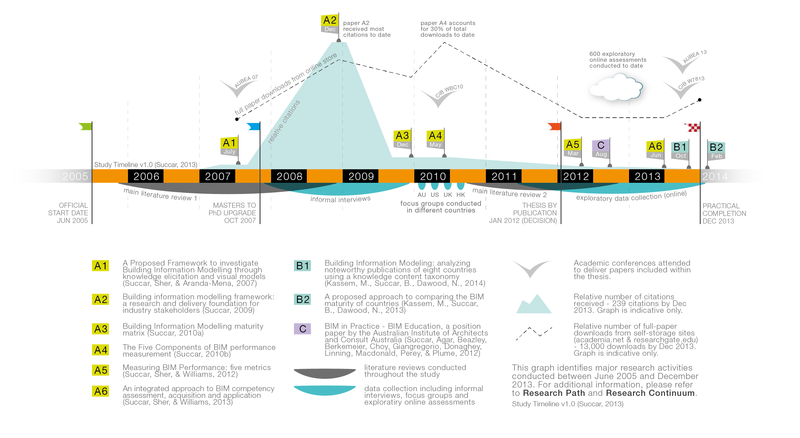 The Research Timeline (previously Study Timeline v1.0) is a visual summary of research activities conducted starting June 2005. The graph references main literature reviews, data collection efforts, published papers, relative citations and compiled full-paper downloads (Source 1 + Source 2) till mid December 2013.